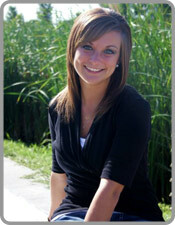 Cassidy Vermeer started dancing at the age of 3 at Hollingsworth School of Dance and Gymnastics in Fort Dodge, Iowa. Although trained in all forms of dance, she would admit that as an adult, jazz and lyrical are her favorites! As she was growing up she competed in many dance competitions winning high point and national titles along the way, including scholarships to “Steps On Broadway” dance studio in New York City 3 year’s in a row! After high school she attended Iowa Central Community College and then transferred to the University of Northern Iowa and was a member of their dance team while majoring in Family Services. She returned to Fort Dodge and is currently the Performing Arts Coordinator / Dance Teams Coach / Choreographer at Iowa Central Community College. Cassidy is married to Tyler Vermeer and has one son – Tucker!